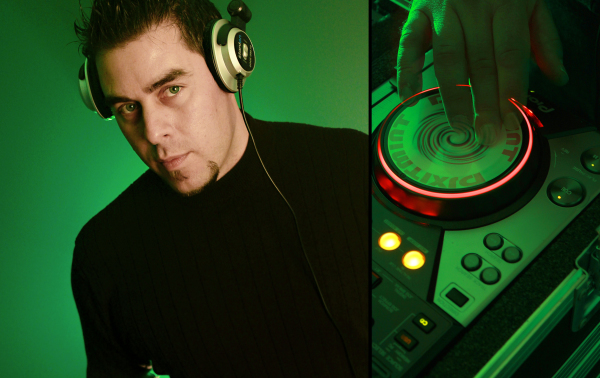 During the early days back in college,DJ Xitmint began to practice the art of spinning.His first club gig was in the summer of 1998 at Amnesia Nightclub in hometown,Vaughan,Ontario. Along side D.J. Guy from Hot 103.5FM,he found his passion and soon followed a steady climb spinning at various nightclubs around the Greater Toronto Area (Paparazzi, The Big Bop, Club Energy, Limelight, Nava, the Brix and at the grand opening of Club Eternity with Jesse & Gean). DJ XITMINT ‘s name is synonymous with the Energy 108FM Morning Show hosted by Tom Allen and the Breakfast Jam Crew.Xitmint also appeared on Hot 103.5FM with Tony Monaco & Kiss 92.5FM, featuring Mad Dog & Billie. His radio personality molded the popular phrase “Mr.Xitmint” and soon he could be seen attending live remotes and live-to-airs with disc jockies like Tom Allen, Wayne Williams and Tony Monaco. DJ XITMINT worked with many known music artists such as JRDN,V.L.A.,MIA MARTINA,FITO BLANKO,KARL WOLF,CRAIG SMART,MAESTRO FRESH WES,MASSARI,KRISTINA MARIA,KATHY PHILLIPS,KREESHA TURNER,LUCENZO,EMJAY,SIMONE DENNY PREVIOUSLY OF LOVE INC,ROB BASE,CANDY COATED KILLAHZ,FARAHRI,ALEESIA,CARL HENRY,STEVIE B,SAFIRE & many more. Most recently DJ XITMINT hosted DJ Kev-Ski(Original member of Doug E. Fresh and the Get Fresh Crew)Bday party @ Club Absinthe in Hamilton alongside Joeski Love,Jus Rolle’ & Canada’s very own international recording artist Carl Henry.Notable clubs include: ARTHURS / The Roxx / Energy 108fm 15th Anniversary Reunion party Live 2 Air on Energy 105.1FM / Berlin Nightclub / Tazza2(T2 Restolounge) / Blue Suede Sue’s / St.George Pub. XITMINT has worked closely with the likes of DJ Scot Turner / DJ Peter Ivals / DJ James / Mike Devine & Don Burns.DJ XITMINT spins the best of top 40 Hits that include – Euro / Dance / House / Freestyle / Old School / Hip Hop / Reggae / Latin / Rock and most importantly: What the Audience Wants to Hear.